At WGA, any Member can volunteer for a committee or take on a leadership role. Guided by "one Member, one vote", we all have equal say and the same opportunities to lead. Together, our Members elect officers and vote to ratify grants. Two fundamental documents govern WGA: the Member-approved Bylaws and the WGA/TCF Operating Agreement. They are reviewed regularly and approved by the Steering Committee. WGA also practices active, regularly renewed strategic planning to guide the organization's efforts. Member Volunteers make up our Standing Committees. The Steering Committee is responsible for establishing the strategic direction and management of WGA. 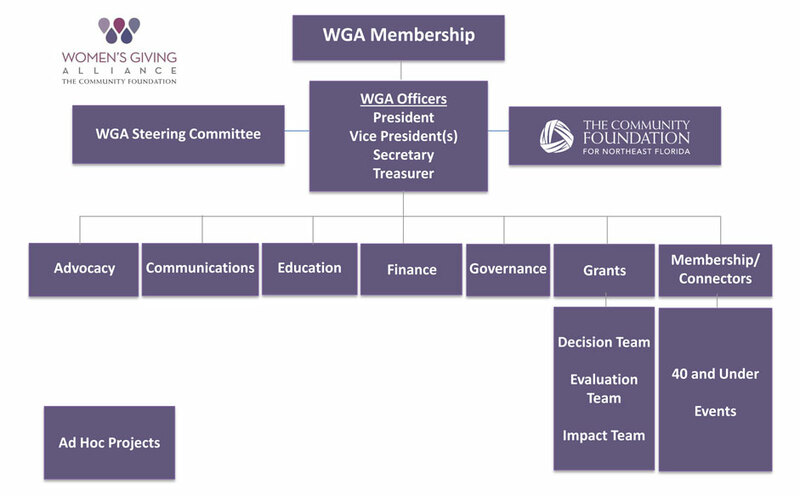 The Steering Committee determines policy; other Committees perform vital tasks such as reviewing and recommending grants, scheduling education events and managing WGA's finances. The Community Foundation for Northeast Florida supports WGA activities as outlined in our operating agreement. 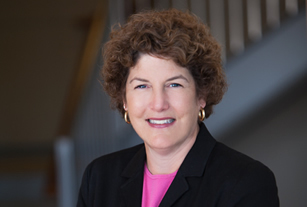 Learn more about our Members, Leadership and Staff.